People typically go to college for a quality education that will get them a better job. Though a college degree doesn’t necessarily guarantee a higher-paying job and a better living, it can increase your chances of such. The recent rising cost of college has made it difficult to find a job that can both cover the costs of your graduation and enable you to live a comfortable lifestyle as well.The cost of a four-year education can average between $45,000 and $122,000, depending on whether you attend a public or private school. In addition, the average student gets saddled with more than $30,000 in debt for attending public school and as much as three times that after attending a private institution. That’s a lot of money to pay off when you’re done, and college degrees are certainly not all created equal. If you’re looking for a college degree that has an excellent return on investment, here are some of the top choices on the list. This degree is currently in high demand because many people depend at least partly on the stock market to improve the financial position of their business. The median salary for a corporate economist is upwards of $115,671, which is ample for someone seeking to pay off substantial college debt in a decent amount of time. A successful economist may also see high returns in his or her personal investments. Playing the markets is a lot easier after you’ve spent four years studying economics and understanding how it’s possible to get high returns. A career in the health-care sector will often lead to a high ROI if you can find an appropriate job afterwards. There’s a fairly high demand for professionals in radiation therapy, and you only need an associate’s degree to achieve get into the field. This is one of the highest-paying jobs on the market that requires no more than an associate’s degree, and you’re looking at a median salary of $72,910, with the highest rate of pay standing at more than $104,000. It shouldn’t be any surprise that students in computer technology and big data are expected to make a pretty penny upon graduation. Companies of all shapes and sizes need people who can work with computers and analyze the inflow of information that will significantly support a company’s growth. With an incredibly high demand and salaries ranging between $80,000 and $107,000 per year, college graduates in IT can easily secure financial prosperity and comfort in their chosen field. As with radiation therapy, dental hygiene students need only an associate’s degree to make upwards of $66,000 per year. Hygienists perform as an assistant to the dentist: examining patient gums, performing cleanings, taking X-rays, and assisting in more complicated dental procedures. It’s easy to take classes, both online and on a campus, and the demand for qualified hygienists remains high. This major may come as a surprise on this list, but the communications field has seen tremendous growth in the past few years, opening dozens of doors to graduates with a degree in English and a solid understanding of communication. Currently, the options for English majors has opened far beyond teaching, most notably to communications in business. Technical communicators can make as much as $90,000 in the specialty of web content. Also, English is a prime degree for scholars looking to further their education. Law school, medical school, and other prestigious programs with high-paying positions are always looking for students who know how to read, write, research, and think critically. Successful English majors fit the bill perfectly. Getting a well-paying job after you graduate is more worthwhile than many people realize starting out. 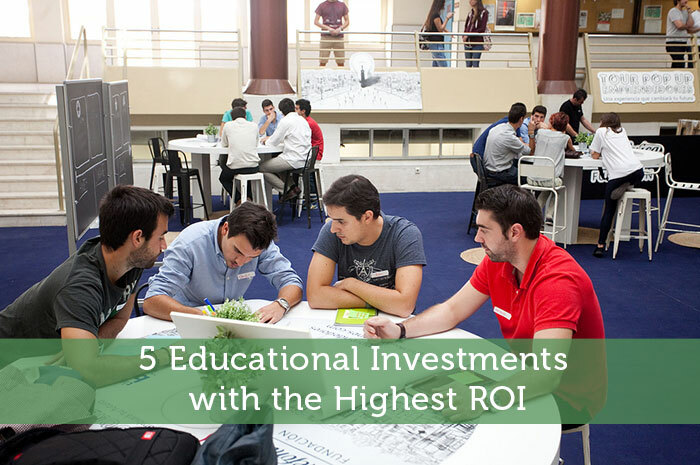 Whether you’re attending college for the first time or weighing a possible switch from your current career path, understanding the return on investment for your education could jump-start a life of financial ease.